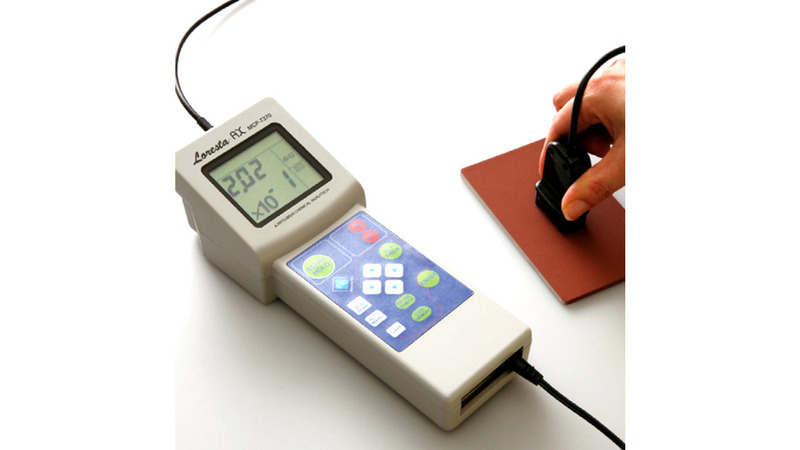 Loresta AX is a simplified resistivity meter and uses a fixed RCF. When measuring various shapes and measuring points of samples, it is recommended to use the high-grade type of resistivity meter Model Loresta GX. The Loresta-AX has a wide measuring range from 10mOhm to 10MOhm. The 4-pin probe ensures quick and precise resistivity measurements. A LC Dispaly is for easy reading of data. Data saved can be transmitted via USB-memorystick. Conductive materials: Paint, paste, plastics, rubber, films, fiber, ceramics, metallic thin films, amorphous silicone, anti-static materials, EMI-shield materials, etc.